Did you know how versatile hammocks really are? There are so many uses apart from just lazying in them. I'll share some of our best tips! Of course the hammocks are great for breaks and lazy summer days. Besides that it can be used as a safe haven to wind down in stressful situations. Sometimes when life is challenging its actually best to stop struggling and take a deep breath, relax in a hammock and then plan ahead. 2. A hammock can be a place where great ideas are born! Be creative. Alone or better - invite your partner and a friend to your hammock. Get some good music, some snacks, beers and whatever that helps you enjoy your time in the hammock and chat endlessly into the late hours. Some of our best ideas started in a hammock :). Hang up a hammock for the kids and relax in another hammock while your kids swing in that one. Hammocks are great places to sleep in. You might find that a hammock might be more comfortable than your bed! If you are having a lot of people over and don't have enough sitting area hammocks and hanging chairs are great as you can hang them up on hooks and ropes and take them off when you don't use them, and they are very affordable as well. Hang the hammock or hanging chair low and use as a crib for your baby (and put a large pillow underneath just in case) The swinging will settle your baby for longer. Have a party in a hammock! 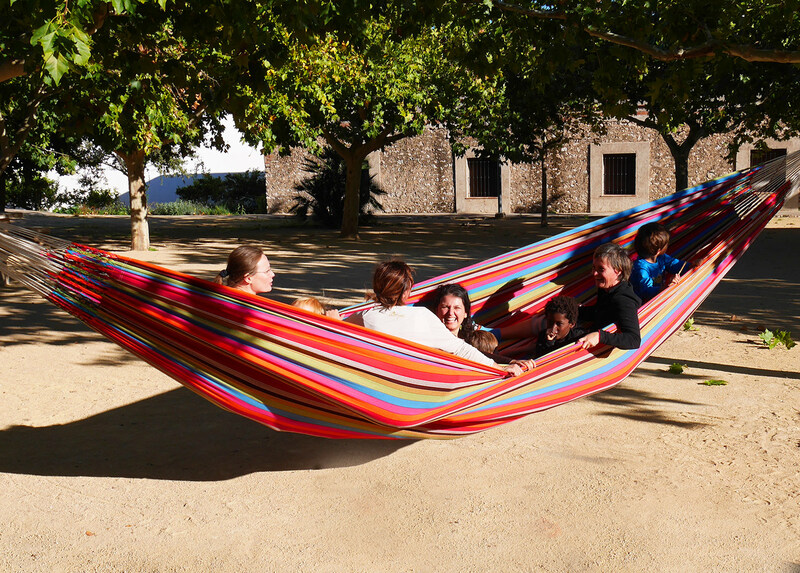 In our Supernova hammock you can be as many people as you like almost. This hammock can take an incredible amount of weight - the problem is, will you find a rope or tree that is strong enough? So maybe its better with up to 6 people at a time in the hammock! Have you got kids with ADHD? Hammocks are used in therapy since long time as they have a calming effect. 11. Work from a hammock! As we travel now we don't always have a place to hang the hammock from, but whenever we do, we use it for work when we don't use it for play or relaxation. As long as the battery lasts and when the sun isn't too bright. Use a hammock as a temporary place to rest in when you travel! When we travelled in Thailand last year our night train was delayed several hours. There was nowhere to sit down but there were two posts. Our kids could sleep in the hammock while we waited! 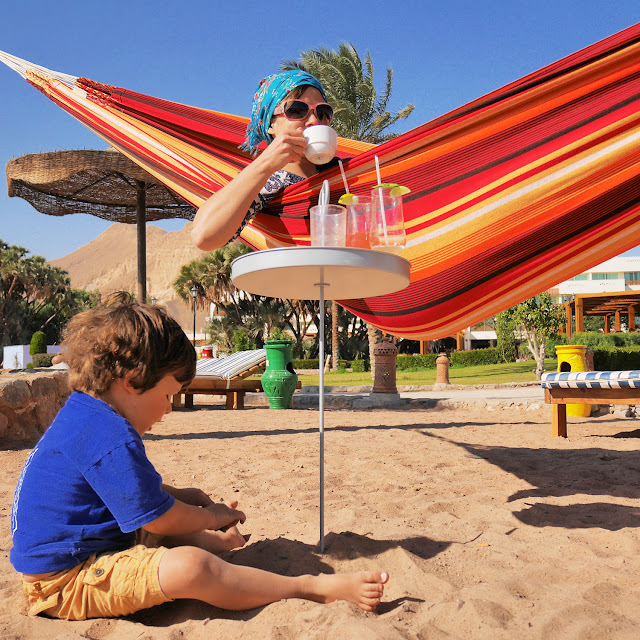 You can find our extensive range of hammocks and hanging chairs on www.hammockheaven.co.uk - we deliver next day in the UK and within a couple of days to the rest of the world! Spring is in the air. I just love it when the sun and warmth come out after a long time of cold and darkness. Peoples mood changes. Its amazing to see how it shifts and how much easier and happy life becomes. One of our favourite ways of increasing happiness is of course to relax in a hammock. Its time to it bring out and enjoy life! Here are some different ideas for hanging hammocks. Use the Siberia Large larch wooden stand that looks impressive in a large garden when you dont have anywhere to hang up your hammock from. A deck set hammock and stand set is perfect for smaller gardens. It doesnt take up much space and contains all the bits you need. The hammock is weatherproof and the Deck set is available at a bargain price. Two trees in the garden with about 3.5-5 meters between them? Use our tree band hammock ropes and hang up a springy green hammock like Cayo Lime between them. Live in a place in a city without garden? Take the hammock with you too the park! Our travel hammocks are lightweight and easy to hang up and take down with their built in ropes and hooks. 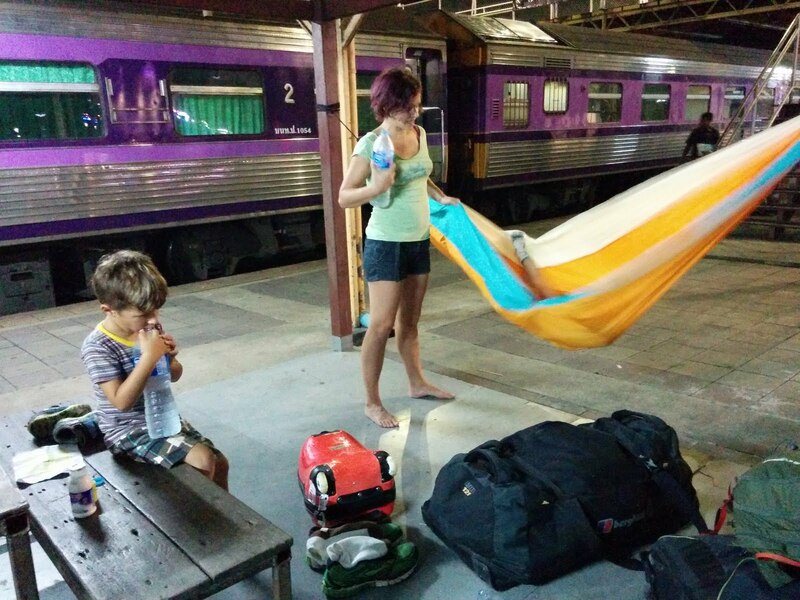 Check out the Travock travel hammocks that are available in many colours. Only one tree? Put a hook on the wall like Easy+ and hang with Tree bands from it and the tree that you have. Small garden? Use a smaller hammock like Iguana Lemon.